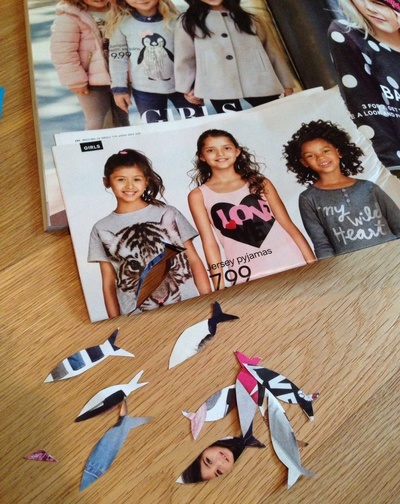 Recycle some magazines to make a cute fish collage. 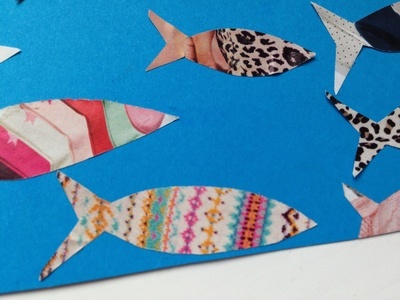 It's a fun way to look and patterns and do some cutting and sticking. We used a kids clothing catalogue which had lots of bright patterns in it. Stack several pages torn out from a magazine together. 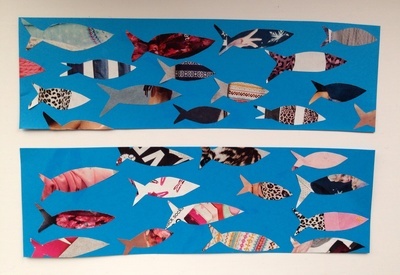 Cut out a fish shape through the different layers. Look at the different patterns on your fish. 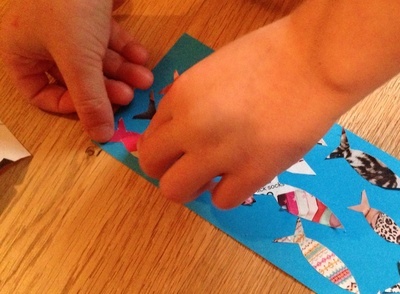 Choose your favourite fish and stick onto card with glue.